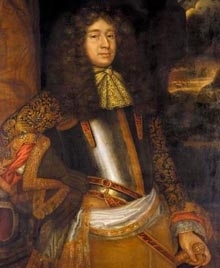 Lady Isabel Douglas was born circa April 1642.1 She was the daughter of William Douglas, 1st Marquess of Douglas and Lady Mary Gordon.1 She was baptised on 21 May 1642 at Canongate, Edinburgh, Midlothian, ScotlandG.2 She married William Douglas, 1st Duke of Queensberry, son of James Douglas, 2nd Earl of Queensberry and Lady Margaret Stewart, in 1657.2 She died on 2 December 1691. After her marriage, Lady Isabel Douglas was styled as Countess of Queensberry in 1671. After her marriage, Lady Isabel Douglas was styled as Marchioness of Queensberry on 11 February 1681/82. 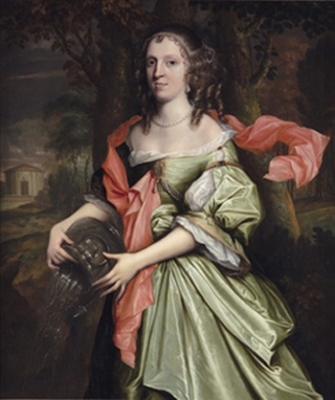 After her marriage, Lady Isabel Douglas was styled as Duchess of Queensberry on 3 March 1684. [S6] G.E. Cokayne; with Vicary Gibbs, H.A. Doubleday, Geoffrey H. White, Duncan Warrand and Lord Howard de Walden, editors, The Complete Peerage of England, Scotland, Ireland, Great Britain and the United Kingdom, Extant, Extinct or Dormant, new ed., 13 volumes in 14 (1910-1959; reprint in 6 volumes, Gloucester, U.K.: Alan Sutton Publishing, 2000), volume X, page 694. Hereinafter cited as The Complete Peerage. 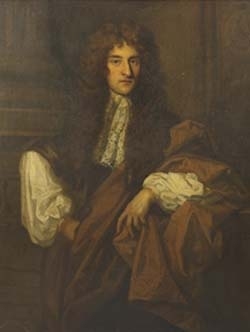 Lady Jean Douglas was born between 1643 and 1655.1 She was the daughter of William Douglas, 1st Marquess of Douglas and Lady Mary Gordon.1 She married James Drummond, 4th Earl of Perth, son of James Drummond, 3rd Earl of Perth and Lady Anne Gordon, on 18 January 1670.1 She died circa 1676. She was also known as Jane Douglas. From 18 January 1670, her married name became Drummond.1 After her marriage, Lady Jean Douglas was styled as Countess of Perth on 2 June 1675. [S6] G.E. Cokayne; with Vicary Gibbs, H.A. Doubleday, Geoffrey H. White, Duncan Warrand and Lord Howard de Walden, editors, The Complete Peerage of England, Scotland, Ireland, Great Britain and the United Kingdom, Extant, Extinct or Dormant, new ed., 13 volumes in 14 (1910-1959; reprint in 6 volumes, Gloucester, U.K.: Alan Sutton Publishing, 2000), volume XII/2, page 69. Hereinafter cited as The Complete Peerage. [S6] Cokayne, and others, The Complete Peerage, volume X, page 483. [S6] Cokayne, and others, The Complete Peerage, volume X, page 482. From 23 May 1668, her married name became Maxwell. [S6] G.E. Cokayne; with Vicary Gibbs, H.A. Doubleday, Geoffrey H. White, Duncan Warrand and Lord Howard de Walden, editors, The Complete Peerage of England, Scotland, Ireland, Great Britain and the United Kingdom, Extant, Extinct or Dormant, new ed., 13 volumes in 14 (1910-1959; reprint in 6 volumes, Gloucester, U.K.: Alan Sutton Publishing, 2000), volume IX, page 563. Hereinafter cited as The Complete Peerage. [S6] G.E. Cokayne; with Vicary Gibbs, H.A. Doubleday, Geoffrey H. White, Duncan Warrand and Lord Howard de Walden, editors, The Complete Peerage of England, Scotland, Ireland, Great Britain and the United Kingdom, Extant, Extinct or Dormant, new ed., 13 volumes in 14 (1910-1959; reprint in 6 volumes, Gloucester, U.K.: Alan Sutton Publishing, 2000), volume XI, page 626. Hereinafter cited as The Complete Peerage. [S6] G.E. Cokayne; with Vicary Gibbs, H.A. Doubleday, Geoffrey H. White, Duncan Warrand and Lord Howard de Walden, editors, The Complete Peerage of England, Scotland, Ireland, Great Britain and the United Kingdom, Extant, Extinct or Dormant, new ed., 13 volumes in 14 (1910-1959; reprint in 6 volumes, Gloucester, U.K.: Alan Sutton Publishing, 2000), volume X, page 55. Hereinafter cited as The Complete Peerage.